Slightly Stoopid is Kyle McDonald (guitar, bass, vocals), Miles Doughty (guitar, bass, vocals), Ryan “Rymo” Moran (drums), Oguer “OG” Ocon (percussion), Daniel “Dela” Delacruz (saxophone), Paul Wolstencroft (keyboards), Andy Geib (trumpet, trombone) with special guest and “unofficial 8th member” Karl Denson (The Rolling Stones/Greyboy Allstars) on saxophone. Meanwhile…Back at the Lab is the next evolution for the San Diego-based group lauded for their multi-instrumental cross-genre blend of rock, reggae, folk and blues with hip-hop, punk, and funk elements. 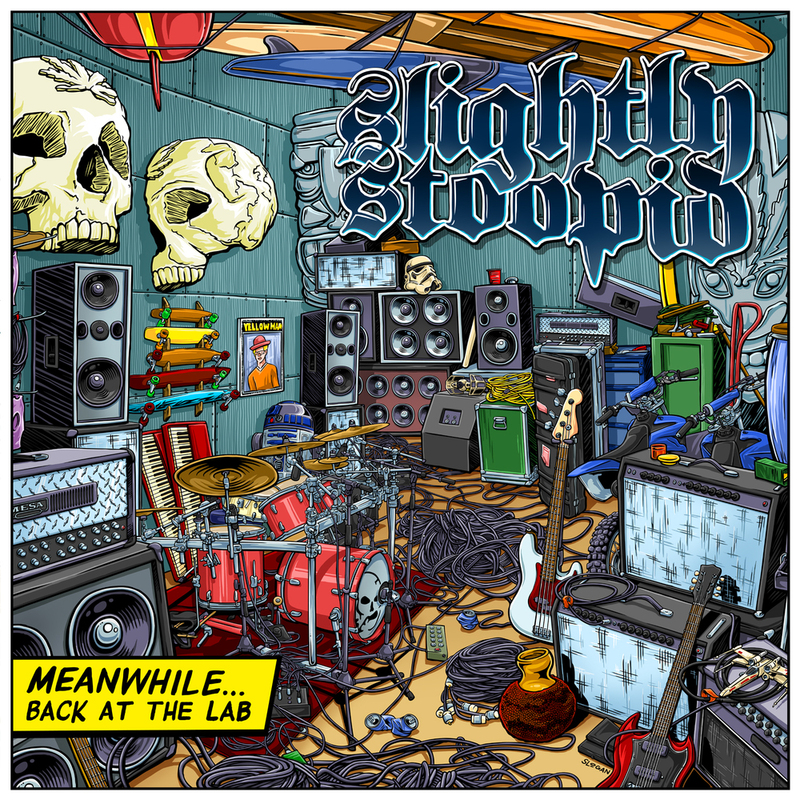 The title and album cover reference the band’s collective escape from touring and home life at their San Diego warehouse studio (The Lab at Stoopid Studios), where they have been working on numerous creative and collaborative projects.